Christians know that God hates pride. Anyone who studies biblical worship cannot miss the foundational attitude of humility necessary for worship. Pride and humility are obviously not good bedfellows. Those of us who plan and lead in worship settings likely try to find ways to encourage an attitude of humility among worshipers. We may have studied pride so much that we take pride in our understanding of it. Huh? I am reminded of the old joke about the author’s book title, “Humility, and How I Attained It.” Have you ever heard a worship musician or preacher who you suspect may have been that author? In a day when “perception is reality,” and people have a hunger for authenticity, we may find ourselves working hard to appear authentically humble. After all, looking and sounding humble might be “effective.” And on and on goes the utilitarian “worship as means” thinking. It is a trap of the human condition in our culture. And I suppose if we are going to be led in acts of worship by someone pretending, it is probably better if they are pretending to display an attitude that actually is meant to be a part of the function for which we are gathered, rather than something that is not. Of course this kind of motivational core consideration is sort of inside talk. “Inside” in the sense that Worship Leaders are likely the ones to identify the struggle itself making this a Worship Leader to Worship Leader chat, but also “inside” in the sense that the battle really is going on inside our psyche. In fact, if we will allow, the struggle itself can serve to remind us that we remain in a fallen world. Advanced more personally, we are sinners saved by grace. Our sanctification process is most certainly going to reveal the rough places in our lives that are nothing like Jesus. Chipping away at pride is likely the toughest of all. Years of buildup may well yield pride that hardens to the point of being petrified. As musicians we have been taught to perform for recognition which may lead to prideful spirit. As preachers we have been trained to speak with attraction with similar results. Intoxicating adulation so easily leads us to believe we must be doing right. Bigger crowds? Larger budgets? Aren’t these the blessings of Kingdom success? Next thing we know we are at the point of personal prideful spirit, and lost between its lure and stench. Praying scripture privately and publically benefits worshipers including worship music leaders and preachers as we allow the Word to shape our wants, and confront our needs, including rooting out any prideful spirit. One of the reasons for written liturgy over the centuries of the Church has been to form our prayer. While we evangelicals steer away from such prescription, there is high value in praying prayers that align squarely with scripture and stretch out to cry the prayers for mercy, protection, salvation, and eternal praise that focus us, not only on ourselves and our own need, but the needs of the world. It’s a miracle! Several people came to me following a worship service and said how the Lord spoke to their particular need through a song that was sung by congregation, choir, or soloist. The miraculous part to me was that those expressions implied such a wide variety of specific needs that were completely unrelated to each other. How could these various needs been addressed through the lyrics and musical expression of the same song? In some cases I could not, for the life of me, even draw a logical line of thought connecting what the person heard, felt, or sensed and the lyric of the song that touched them so deeply. It has happened time and time again over my 40 years of ministry. Perhaps it is the Lord’s way of reminding us that He works in mysterious ways and does what He pleases. In settings where preaching pastors had the confidence and relationship to do so, I recall them sharing similar stories related to their sermons and the scriptures upon which they were based. In church staffs where this level of sharing was a weekly occurrence (a healthy practice for staff meetings, by the way), I recall hearing it over and again. I wondered sometimes if we were all in the same room, singing the same songs, hearing the same sermon, partaking of the same fellowship. Nevertheless, stories of efficacious word, spoken and sung, were abundant and faith-building. In one service, the sermon was the dramatic reading of an extended passage of scripture – the story of the woman at the well in John 4. The choir sang the 1990’s chorus, Come Just As You Are. The response was unlike anything expected. The previously divided congregation began to make their way to one another. The choir’s song became the congregation’s song as they joined in singing, while estranged church members embraced in the aisles, knelt in prayer, embraced in restoration. The result was restored community, a condition that remained in that church for the next twenty years. Miracle? I believe it was the work of the Holy Spirit. This is the power of gathered worship, just as the Spirit is the sole power at work in mission and ministry of witness and healing. 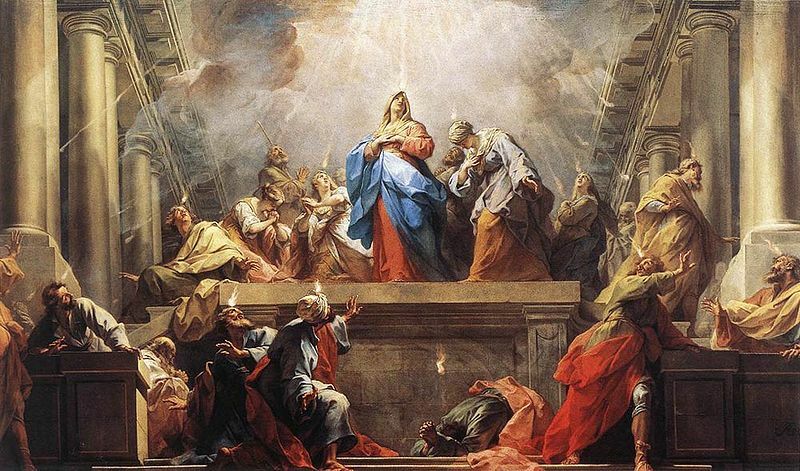 For some unexplained reason many evangelical churches look past an observance of Pentecost Sunday, celebrating the Sunday when the Holy Spirit descended upon the Apostles. I will not attempt to presume those reasons, or use this space to contend for its observance at a level of Christmas or Easter, though certainly a case could be made for such ceremony. Instead, I want to appeal to the mindset and sensitivity of the worship planner – service designer, who will program materials for use in worship this coming Sunday, May 19, 2013, the Sunday this year that the Western Church recognizes as Pentecost Sunday (Eastern Church observes June 3 this year). PERFORMANCE, WORSHIP MUSIC, AND MINISTRY IN PEOPLE’S LIVES. I knew the memorial service would likely be emotional. I knew it might be difficult at times to sing the notes and words that I had sung hundreds of times over the 26 years that I had been part of the male chorus directed by the one who was being memorialized. I felt somewhat prepared for occasional swells of emotion since I knew the deceased had put his mind and heart into arranging these very pieces we were singing with unparalleled artistry. Part of my preparation had been to review musical scores where I once again saw nuances crafted into the scores that painted text with astounding mastery. I thought by reviewing all of that ahead of time I would get my proverbial trips down memory lane over with prior to the memorial service, and thus be ready to just sing through the songs – make the music – as a member of the ensemble without losing it. Even though I am prone to tear up pretty easily, I was going to be tough. Ah…but then came the actual moments of combining life stories, songs, presence of friends with whom all of these things had been shared, and the dose of stark reality with which we are confronted at memorial services. 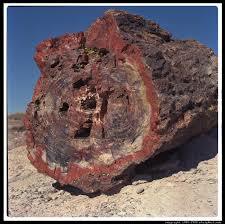 Life on this earth is temporal, it has an endpoint. Occasional humor in relational stories helped shift the mood momentarily, but the hard work of grieving continued to call for our attention. In my case grieving often leads to weaping. All things considered, I thought I made it pretty well, contributing the bass part through most all of our songs with a couple of exceptions. I was even surprised to sing with strength on “Be Still My Soul,” which is so loaded with deeply emotive expressions of faith. Lost it on “At the Cross,” so I mouthed words while uttering no sounds part of the time, and just let go and sang with tears streaming during the rest. Fast Forward three nights to a concert of worship music in which the music is purposefully arranged by textual content based on a structure of fourfold worship. The rise and fall of musical drama seems naturally accompanied by emotive response among singers and listeners. Moments of confessional lament and subsequent pensive mood and some tearful expressions. Moments of joyous declaration of freedom because of the cross were met with warm smiles and verbal replies. Applause and spoken “Amens” seem accompanied songs of thanksgiving and praise. A sending song that anticipates the Lord’s triumphant return was nearly interrupted with the shouting response of a worshiper overcome in the swelling crescendos of proclaimed hope and anticipation, whose shouts at times rose above the soloist and chorus. As a director this was a first for me. I was slightly frightened at first, and strangely gratified at once. But enough about me and my emotions. What I would like to draw attention to from these personal experiences has to do with the power of emotion in worship, and some consideration of its place and our response. Second, while we can certainly anticipate that some worship experiences will likely be emotional, whether joyous or sorrowful, we in worship ministry must never seek to elicit emotion as the sum and substance of any setting that we call Christian worship. This deserves its own article, so I must leave it at that. Third, any worship gathering will include people whose emotional inclinations will vary. Those who pastor in worship settings will do well to assist worshipers in exercising respect for one another in these differences. Romans 12:9 even says we should “outdo one another in showing honor.” Imagine that environment of the worshiping church. Philippians 2 paints such a beautiful picture of the people we are to be as “everyone should look not only for his own interests, but also for the interest of others.” What if we not only make room for the worshiper whose hands are raised at the mention of God’s praise as well as the worshiper whose silent reverence and bowed head indicates his or her humbling in the Lord’s presence. We do well to consider how we help each understand the other and embrace their contribution to worship as a body. Fourth, healthy worship embraces tension, which naturally leads to varying emotions in worshipers. As Paul reminded us that he “prays with the spirit but with the mind also; and sings with the spirit but with the mind also,” (1 Cor 14:15) so we must encourage full participation in the exercises of gathered worship. Full participation is not only indicative here of all people, but all of each person engaging with God in worship – bringing our whole selves to join this community of worship. Because worship “does God’s story” as Robert Webber has said throughout his writings, it is little wonder that our emotions are stirred within the wonder of that story. Certainly, when we are in the throes of discovering our own place in it (the story), we can be overwhelmed as we participate with heart and mind, singing, praying, praising, ministering, serving, expressing hospitality and enjoying fellowship in community. I often say, “there is no such thing as passionless worship.” This is not a call for specific emotionalism in worship, but rather simple fact that the very nature of bringing our whole selves implies passion in the engagement with God the Father, Son, and Holy Spirit, and with His bride, the Church. Robert Webber reminded us that worship remembers and anticipates. Indeed as worship does God’s story it fully embraces the tension of yet and not yet. I cannot help but realize that even in these two experiences upon which I reflected above, the Memorial Tribute for Buryl Red and the singing of the Centurymen, or the shouting expressions of a worshiper in East Tennessee at a concert of the Tennessee Mens Chorale, these two experiences were characterized by these two directions, one a service marked especially by remembrance and the other by anticipation of what is to come.